JMP statistical software from SAS gives you the power to understand what your data is telling you. Regardless of your statistical savvy, you can uncover answers that spreadsheets tend to hide. 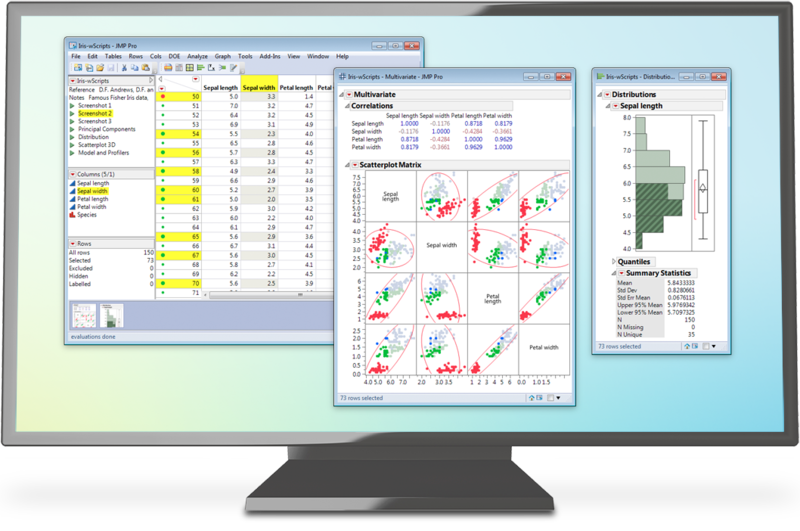 Get ready to take your data analysis up a notch with this free 30-day trial of JMP.